Stealth aside, there are plenty of old-school demolitions still happening in the world, for better or worse (check out the 300-pounds-of-dynamite job that took place earlier this year in El Paso, below). After Architizer rounded up some of the best last week, we thought we'd add a few of our own favorites to the mix. There are dozens of great videos and GIFs out there, though, so post your own in the comments, below. 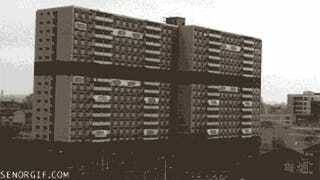 The 65-year-old New Frontier Hotel, in Las Vegas, was demolished in 2007—the occasion merited fireworks. 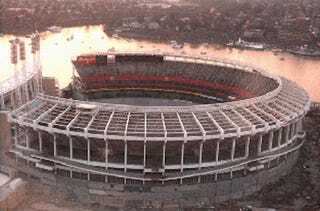 Cinergy Field, home to the Cincinnati Reds and Bengals since 1970, was demolished in 2002. 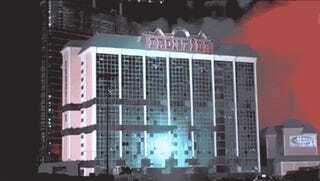 The entire explosion took only 37 seconds. 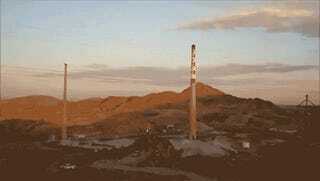 The Asarco Copper Smelt Smokestacks, in El Paso, required 300 pounds of dynamite. 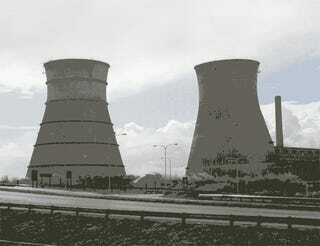 Cape Town's Athlone Power Station cooling towers being demolished, in 2010. 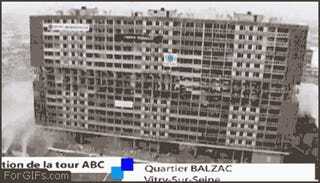 The demolition of a French public housing development, in Vitry-Sur-Seine, in 2010. 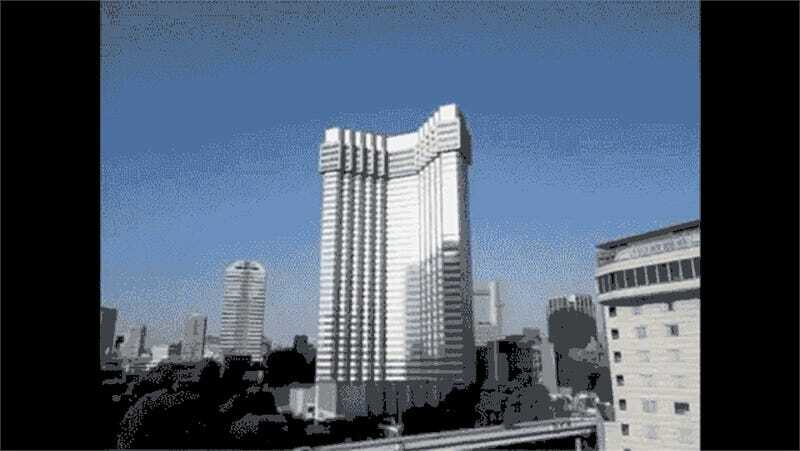 Another public housing development crumbles. 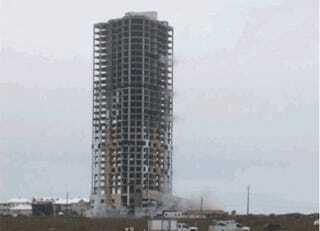 Ocean Tower on South Padre Island, Texas, was partially disassembled before it was demolished. 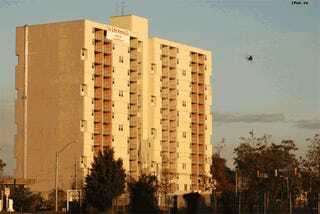 Yet another public housing demolition, from 2010, shows an unusual folding collapse. 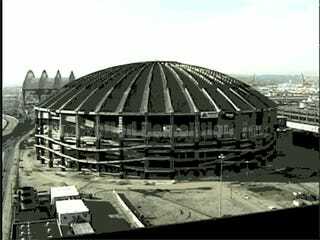 Seattle's Kingdome Stadium, demolished in 2000, is still the largest structure to have ever been destroyed with dynamite.